Our district operates within a MTSS for system-level and school-level improvement. 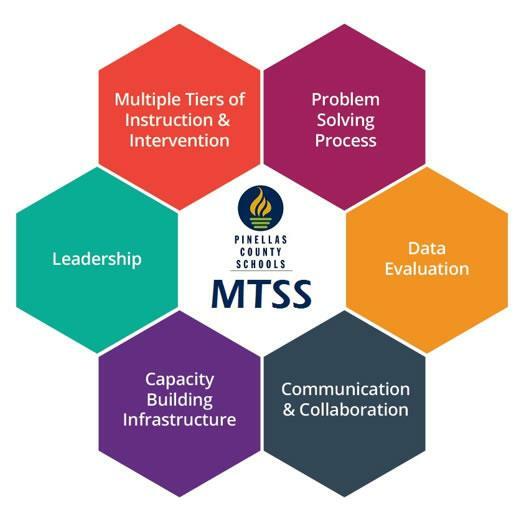 MTSS is a term used to describe an evidence-based model of educating students that uses data and problem solving to integrate academic, behavior, and social-emotional instruction and intervention to maximize the success of all students. Instruction and intervention is provided to students across multiple tiers of intensity based on need. Staff make data-based decisions in order for resources (e.g., time, staff, and evidence-based strategies) to reach the students at the appropriate levels to increase the performance of ALL students with the goal of achieving and/or exceeding proficiency. Quality implementation of MTSS is associated with an increased likelihood of instruction and interventions leading to successful student outcomes. Thus, schools monitor not only student outcomes, but also how assessments, instruction, interventions, and data-based problem solving are put into place (i.e., the fidelity with which these elements are implemented). Leadership is key to successful implementation of any large-scale innovation. The School Based Leadership Team (SBLT) is critical to implementing MTSS at the school level. The SBLT is a multi-disciplinary team of professionals who create and support a structure for school-based decision making, establish and monitor school-wide learning and development goals, ensure and coordinate the delivery of services to all students (academic, behavior, social-emotional learning), allocate the resources needed to fully implement plans with fidelity, and monitor the effectiveness of core (Tier 1) and supplemental (Tier 2) instruction and intervention. 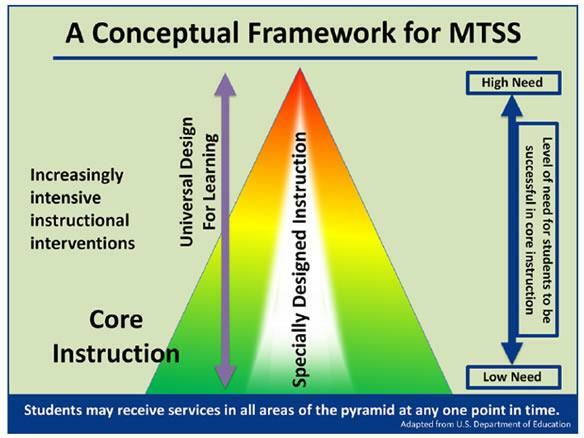 ensuring that the critical elements of MTSS are defined and understood by school staff, including curriculum, assessment, and instructional practices. actively engaging staff in ongoing professional development and coaching to support MTSS implementation. actively facilitating implementation of MTSS as part of their school improvement planning process. Building the capacity to implement MTSS is crucial to being able to sustain the use of collaborative inquiry/data-based decision making. Important factors in capacity-building include involving key people and leaders; building the school culture to support the practice; working to infuse collaborative inquiry into ongoing structures such as faculty meetings, curriculum committees, and PLCs; and making use of student data to inform actions an expectation for all staff. assessments and data sources used to inform decisions. data literacy and data-based problem solving. providing assistance and professional growth opportunities to teachers. Ongoing communication and collaboration are essential for successful implementation of MTSS. Many innovations fail due to a lack of consensus, to a lack of feedback to implementers to support continuous improvement, and to not involving stakeholders in planning. In addition to including stakeholders, it is also important to build the infrastructure to communicate and work with families and other community partners. There practices increase the likelihood that innovative practices will be implemented and sustained. The use of data-based problem solving to make educational decisions is another critical component of MTSS implementation. 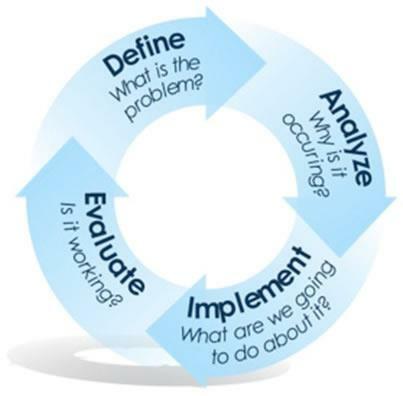 Problem solving is the practice of providing high-quality instruction/intervention matched to student needs and using learning rate over time and level of performance to make important educational decisions (Batsche, et al., 2005). Data-based problem solving means that data are used effectively to improve learning, and informs how patterns of student performance across diverse groups (e.g., racial/ethnic, cultural, socio-economic, language proficiency, disability status) are addressed. Integrated data-based problem solving for student academic, behavior, and social-emotional outcomes occurs across content areas, grade levels, and tiers. Across all tiers, data are used to identify the difference or “gap” between expected outcomes and current student performance relative to academic, behavior, and social-emotional goals. What is the problem? How does the student’s performance compare to benchmark level of performance and peers’ level of performance? Why is the problem occurring? What would happen if _____ would occur? Can we validate our ideas? What are we going to do about the problem? What will we teach? How will we teach it? Is instruction matched to the problem we identified? Is the instruction/intervention working? How do we know? Is academic and/or behavior performance improved? Are outcomes for all students equitable? Is the group’s/student’s response good, questionable, or poor? What are the next steps? A three-tiered instruction/intervention framework is used to organize resources and supports to ensure student learning and educational success. The intensity of supports provided to students matches student need. ensure that each student may progress successfully (on time, age appropriately) through the PK-12 system. Tier 1: Core Universal Instruction and Supports for ALL Students - The general academic and behavior instruction and support designed and differentiated for all students in all settings to support the full continuum of student needs. 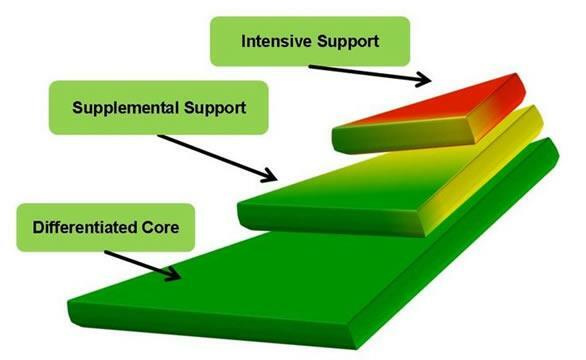 Tier 2: Targeted Supplemental Interventions and Supports for Some Students - The academic and behavioral instruction and intervention that is provided to students who show a need for help in addition to the instruction and intervention they receive at Tier 1. Tier 3: Intensive Individualized Interventions and Supports for a Few Students - The academic and behavioral instruction and intervention that is provided to students who show a need for intensive and individualized help that is provided in addition to Tier 1 and Tier 2. A large percentage of our students need intervention, and many need intensive support. 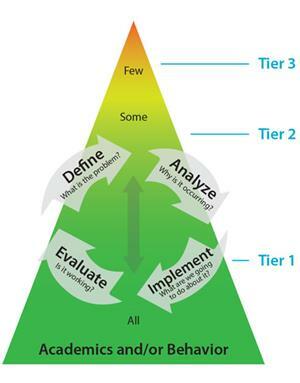 If a student needs intensified instruction, all tiers must be intensified. Policies and procedures for decision-making are established that include schedules for screening, the use of diagnostic assessments, frequent progress monitoring, and the criteria for determining tiers of support needed. Staff also administer assessments, access data sources and make data-based decisions with fidelity to the policies and procedures established by the leadership team. The SBLT periodically conducts analyses to determine how implementation of critical elements of MTSS relate to positive student outcomes; that is, resources are allocated based on student need, the relationship between the resources allocated and the outcomes of students is evaluated, and processes and criteria for resource allocation are refined based on strategies that result in improved student outcomes. It is also vital that the SBLT evaluate how MTSS is implemented, providing information on what practices relate to improvements in student academic, behavioral, and social-emotional outcomes.